For Christmas I present a necklace to my sister. 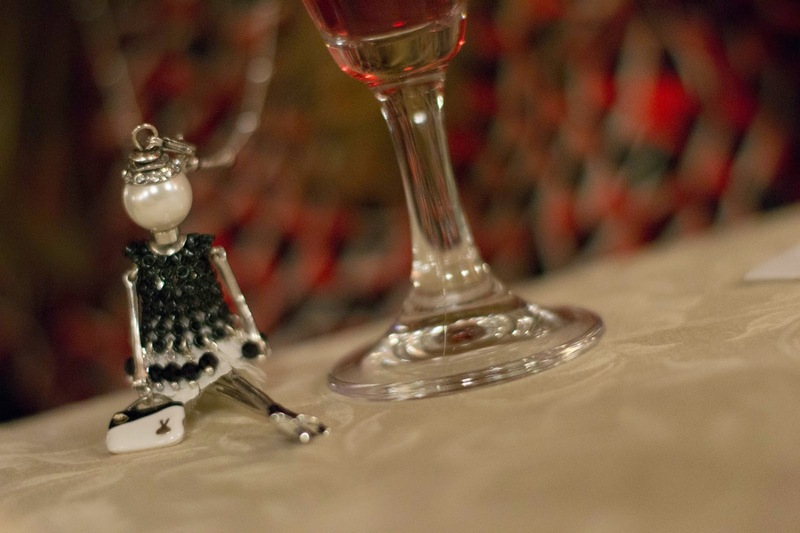 This necklace, is long and, as a pendant, there's a little lady with a black and white dress. My sister named her "Poupette". And now Poupette is having a very busy life. On Saturday night she had a party, and she celebrated my uncle's 60th birthday. Thank you for your last comment! I realized I did not visit for why to long! Sorry for that! I hope you have been doing good! Your picture is really fun! I am quite good. I am a lot tired these days, because I have a lot to do and my belly is making me wanna rest. But thats okay, otherwise everything is fine and I am really happy about this :) All the best for your pregnant colleague!